The calendar says it’s February, but there isn’t that usual itch for me to switch phones. That’s because I’m perfectly happy with the Pixel 2 XL. As controversial as it was for the first few months, Google’s latest flagship turned out to be an all-around excellent choice. Finishing out 2018 with the Pixel 2 XL might be a stretch, but right now my eyes aren’t wandering to any other phone, because this year is shaping up to be pretty dull. Google made a product that’s complete in terms of hardware and software. It’s attractive, and it does everything I want. As iPhone owners should know, the Pixel 2 XL just works. That’s something I’ve always wanted. I’ve spent my entire life checking out consumer electronics, with a particular infatuation with mobile technology. It’s something about the mix of power and portability that fascinates me, especially since I grew up during the transition from basic phones to smartphones. One of the perks of my job is getting to use everything. But, frankly, even if I didn’t cover the mobile industry, I’d still be trying to get my hands on the latest and greatest stuff. That’s why I’m constantly switching phones. When a team member at TechnoBuffalo is reviewing a product, sometimes I purchase a unit myself to see what it’s all about. It’s a better way for me to stay informed and share my perspective on what’s happening. Generally, I keep a phone for a month or two. I’ll take it for a spin over several weeks and then put it up for sale to a friend or family member. Do I lose money? Sure, but my obsession with phones and anything else with a power button must be satisfied. Since picking up the Pixel 2 XL in December, I haven’t been able to put it down. And I don’t want to put it down. This is the phone I’m ready to carry for the next several months. Picking up a new phone takes a serious amount of effort unless you’re a longtime Apple customer. When I think about a phone for myself, I consider three areas to be the most important. The design has to be good, and that means cozy in my hands more than nice to look at. It also needs to take spectacular pictures in any environment. Finally, I want fast software updates that are going to fix any minor annoyances and improve the overall experience over time. The Pixel 2 XL checks those boxes. For me, it’s the sole Android phone to do so. 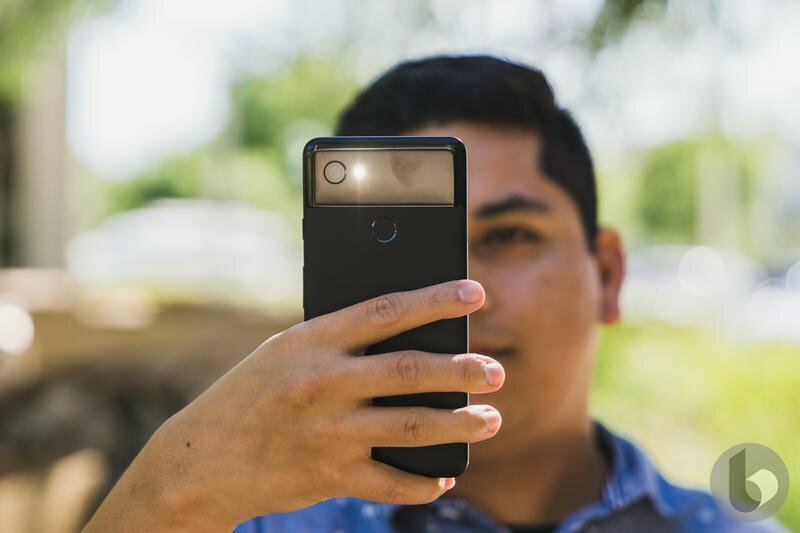 Google may not win any design awards, but the Pixel 2 XL isn’t the hideous monster so many have made it out to be. The bezels are reasonably sized and include front-facing stereo speakers. Unless you’re Samsung, you don’t get those ultra-thin bezels with the sides spilling over into the frame. You have to make do with what you’re provided, and LG worked closely with Google to make a modestly attractive phone. If I were to drop the Pixel 2 XL, I wouldn’t be fearing the worst. The same can’t be said for Samsung’s Galaxy S8 and Galaxy Note 8. You can use all the Corning-made Gorilla Glass you’d like; concrete always wins. At least I can breathe easy if the Pixel 2 XL takes a dive. Google’s flagship also separates itself by having bezels all around the display to make one-handed use a bit easier. See, the design of the phone is far from bad. The Pixel 2 XL frequently gets compliments when I’m out and about. The Pixel XL from 2016 was my favorite phone during its span as Google’s flagship. It was the camera that won me over. I knew when I decided to take a picture, the result would be excellent. If it was a sunny day on the beach, the picture wouldn’t get washed out from the sun. I also knew in a dimly-lit restaurant my dishes would be sharable for Instagram or Facebook. No matter the setting, Google’s groundbreaking components and software would achieve masterful shots. And it doesn’t hurt that Google Photos would store pictures and videos at full resolution for free. With the Pixel 2 XL, photography remains best-in-class. The clarity and accuracy of pictures are downright amazing. Other phones struggle to take decent pictures in poor lighting. 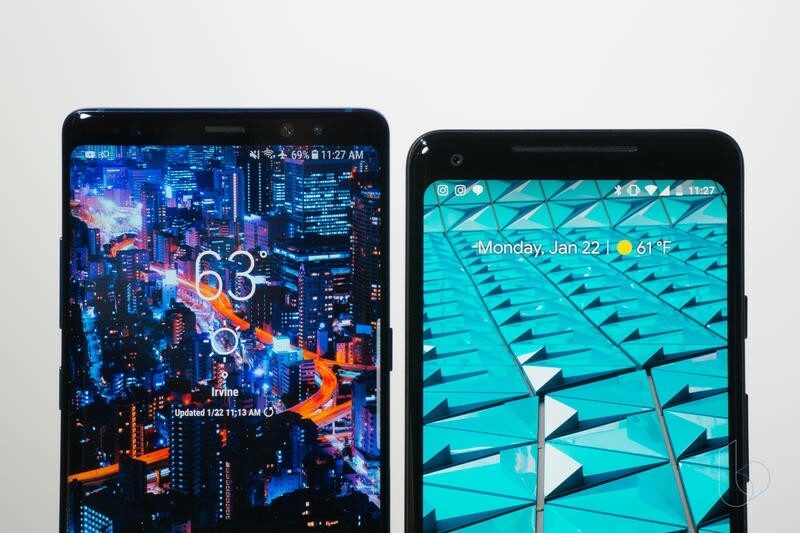 As much as Samsung would like to pump up its Dual Pixel technology, the Galaxy S8 and Galaxy Note 8 don’t seriously rival the Pixel 2 XL in low-light conditions. It’s also worth saying that the front-facing camera on the Pixel 2 XL is as crisp as what you’ll find on Apple’s iPhone X. Samsung cleaned up the front-facing camera last year, but there’s still an odd film that doesn’t make your face’s true texture noticeable. I strongly prefer to not look like a mannequin in selfies. Then there’s the topic no Android loyalist likes talking about: software updates. If you don’t have a Pixel or Nexus device, they’re hard to come by. Look at the Android distribution numbers for February 2018. Oreo, the latest version of Android, is on a meager 22 million devices despite there being more than 2 billion devices worldwide. Both of Samsung’s 2017 flagships are still waiting for Oreo. No, we’re not talking about Android 8.1, which neither the Galaxy S8 nor the Galaxy Note 8 will likely ever receive. Those phones are without Android 8.0 six months after Google made the software available. Making the latest version of Android rise faster than ever could be involved in Google’s decision to invest more in hardware. The company sees the fast adoption of iOS, so it’s not like keeping Android current on a large number of devices is impossible. 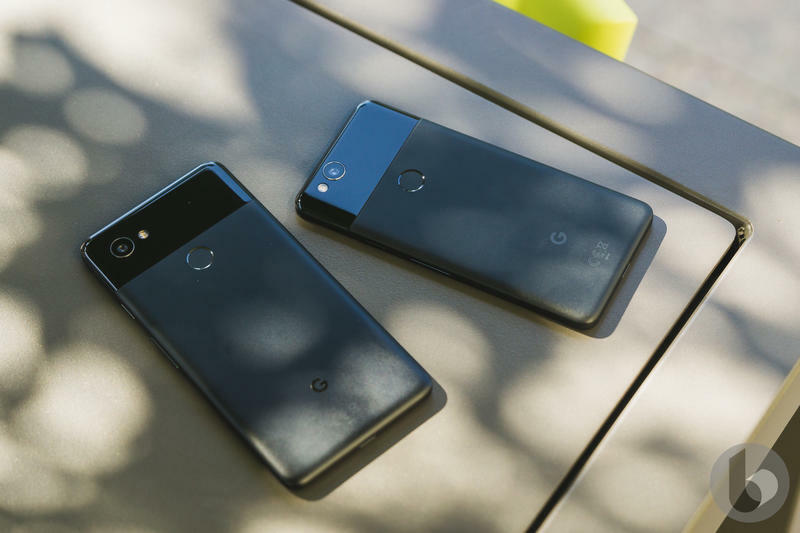 My Pixel 2 XL will be getting software updates every month to ensure it’s secure, and a handful of times throughout the year it’ll gain new features. The Pixel 2 XL isn’t flawless. Nothing is perfect. The industrial vibe could be modernized a tad, but it actually helps Google showcase a unique-looking product. Also, the screen (which was the source of concern out of the gate) could be brighter and more vibrant. However, the complaints have been widely overblown. 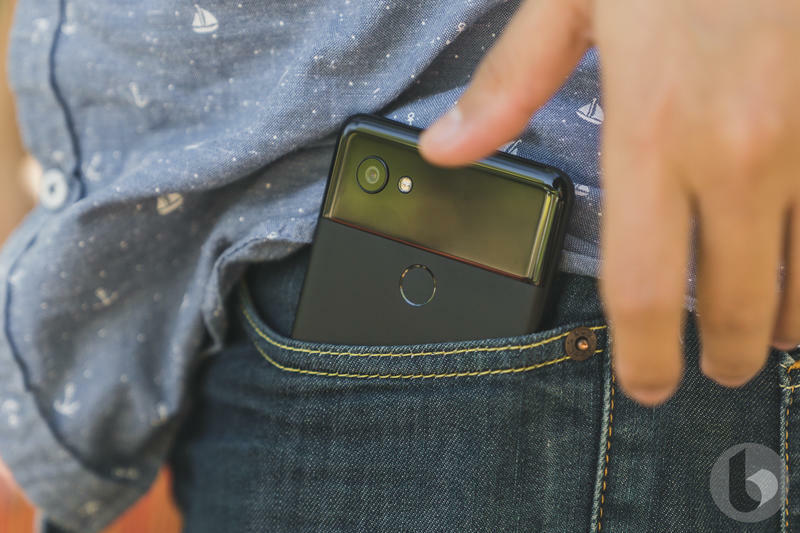 Use the Pixel 2 XL day-to-day and, in a matter of hours, you’ll feel it’s worth $850. There will likely never be a time when I switch to an iPhone, and Samsung’s next Galaxy doesn’t seem like it’ll be very appealing. So, here I am comfortable living with the Pixel 2 XL. Google’s big bet on hardware is only getting started, and I’m already all-in.